One of the things that most addicted individuals worry about when it comes to treatment for their illness is the addiction rehab cost. 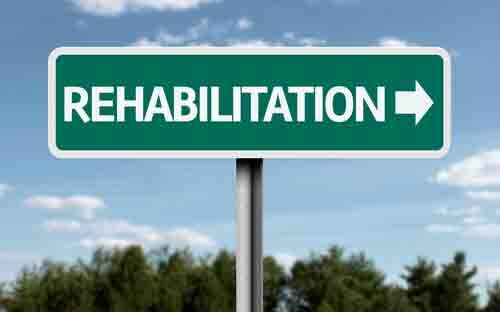 This is an understandable concern as the cost of some rehab facilities can be quite high. Those looking to overcome their addiction in a private luxury facility, the cost will be high. These type of facilities are akin to five-star hotels, where guests are pampered and taken care of. However, there are other less expensive options when it comes to addiction rehab. Private rehab clinics do offer luxury and comfort for those who want to overcome addiction. But the addiction rehab cost can be enough to put some people off. They worry about where they are going to find the money to fund such treatment and fear that, because of not being able to afford the high prices, they will never be able to get better. The reality is that not all private rehab clinics cost a small fortune; some facilities are less luxurious while others accept government funding, meaning both types are accessible to more people. There is also an option of getting treatment abroad. Many choose to travel to exotic locations such as Thailand, Indonesia or South Africa so that they can access luxury facilities for a fraction of the cost of private care here in the UK. If an affected person and are still concerned about the addiction rehab cost, think about the cost of your drug or alcohol habit for a minute. By getting sober, you are likely to start saving money. At the very least, you will save on the cost of the substance to which you are addicted. The severity of your drinking or drug taking could be costing you hundreds of pounds every week. Some spend a fortune on drugs or alcohol in a bid to satisfy their habit. Many do not even realise exactly how much their addiction is costing them until they sit down and take a good look at their drinking or drug-taking behaviour. You might be surprised at how much you will save when you quit. There are likely to be other expenses relating to your habit that you need to consider as well. Have you had to pay fines or charges for missed bills or mortgage payments? Have you had to replace furniture, clothing or other items that have been damaged while you have been under the influence of drugs or alcohol? Have you missed days at work that has affected your take home pay? And have you missed out on promotions at work because of your addiction? When you work out exactly what your addiction costs you over the course of a year, you may soon start to realise that the addiction rehab cost is not that high in terms of what it could save you. Getting sober and staying sober will likely mean you recoup the costs of treatment in short order. 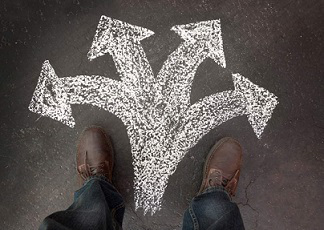 The cost of treatment should just be one of your concerns; there are a number of things to consider when opting for the right addiction rehab facility. Think about the type of programme on offer first. While most people assume that inpatient treatment is the best type of treatment for addiction, this is just not feasible for everyone. Some experts think that overcoming addiction under careful supervision, with access to care and support 24-hours a day, is the best way to recover. However, staying in an addiction clinic for four to six weeks may not be possible for those with specific personal or work commitments. In these cases, outpatient treatment might be a more suitable option. It is also a good idea to consider the location of the clinic. If you do not mind travelling far, then you are obviously going to have more options. For example, an addiction rehab facility in the centre of London may be much more expensive than one situated in the north of England. Those who live in London may want to stay close to home but in so doing are going to have higher addiction rehab costs. Those who are willing to travel abroad will have even more choice. They can access private luxury clinics at a lower price than an equivalent clinic here in the UK. Nevertheless, some people simply do not like the idea of travelling to a foreign country as they will be too far away from their loved ones. Here at Recovery.org.uk, we know that the addiction rehab cost is often a factor when it comes to making a decision regarding care. This is entirely understandable, and we want to reassure you that we work alongside many organisations, both here and overseas. While this does include a number of private clinics, it also includes local support groups, charity organisations, and the NHS. It is our belief that addiction services should be available to everyone, regardless of how much money each individual has. If the addiction rehab cost is a primary concern, we will help you to find the most suitable provider based on your circumstances. We believe that the most important thing is that those with addiction can access treatments; we also believe that the cost should not be a discriminating factor. We know the facilities that accept government funding, and we can help you when it comes to applying. If you are thinking of private rehab treatment, we would like you to again consider the amount of money that you will save by getting clean and sober. If you have savings but are concerned about dipping into them in order to finance your treatment, rest assured that once you are clean, you will soon cover the addiction rehab cost by simply saving half of what you would have spent on your addiction every week. For more information on your treatment options or to discuss the addiction rehab cost in more detail, contact us here at Reocvery.org.uk today.